Published in March 2019 by Professor Bob Eccles, Michael Krzus and Carlos Solano, this paper explores the extent to which companies around the world are using the <IR> Framework to prepare their reports and whether country-to-country differences exist in the content and quality of integrated reports. The authors selected five companies from each of the following countries: Brazil, France, Germany, Italy, Japan, The Netherlands, South Africa, South Korea, United Kingdom, and the United States for the study. Top honours go to the SA reports and the work of the IRC of SA is mentioned as a factor in the success and quality of reporting. Read more here. Mazars publication: Integrated Reporting: Towards a Global Adoption? Published in September 2018, Mazars carried out a benchmark analysis on 20 corporate reports published by insurers and reinsurers in 2016. The study highlights the main differences between integrated reports and financial/CSR reports and, secondly, to introduce industry best practices in terms of integrated reporting and communication, in a follow-up study from 2015. The paper aims to share learnings and best practices to support implementation of the International <IR> Framework. Read more here. The March 2018 “Walking the talk“ report analysed 45 reports produced during 2017 to highlight progress made and challenges faced, and provide practical recommendations. 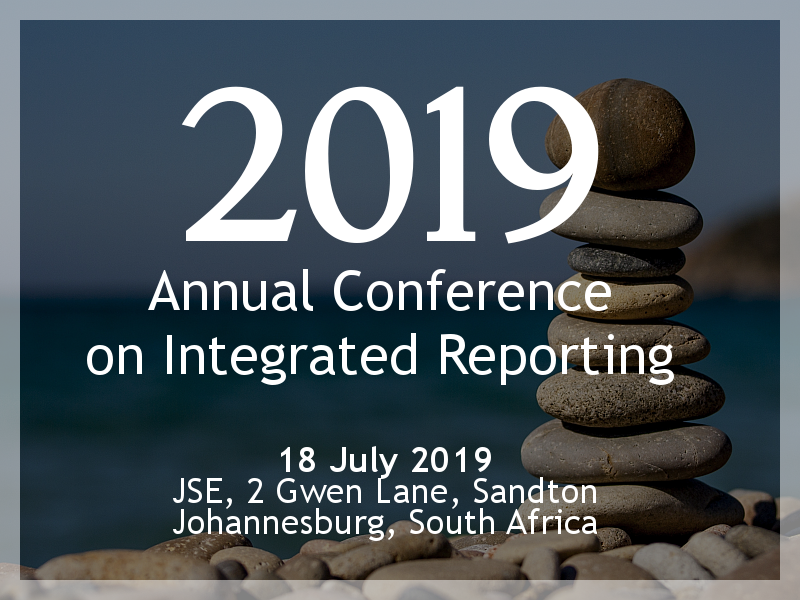 The publication Forging a path to Integrated Reporting offers insights from the GRI Corporate Leadership Group on Integrated Reporting. The Corporate Reporting Dialogue aims to achieve greater coherence, consistency and comparability between different reporting frameworks. The KPMG Survey of Business Reporting evaluates 270 annual reports from public companies in 16 countries. It looks at the quantitative and qualitative information in relation to the business model, strategy, performance and risk across 15 sectors. Need to get up to speed on integrated reporting? This article offers a quick summary, as Leigh Roberts explain the 101 of integrated reporting. The IIRC has a database of emerging practice in Integrated Reporting, illustrating how organisations report material information about their strategy, governance performance and prospects in a clear, concise and comparable format. You can access the global IR examples database here. The 2017 Global Audit Committee Pulse Survey by KPMG’s Audit Committee Institute surveyed more than 800 non-executive directors from 42 countries.